Minimum order 7.21 m2	Why? 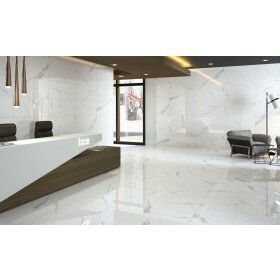 Apogeo is a large format white marble effect ceramic wall tile. 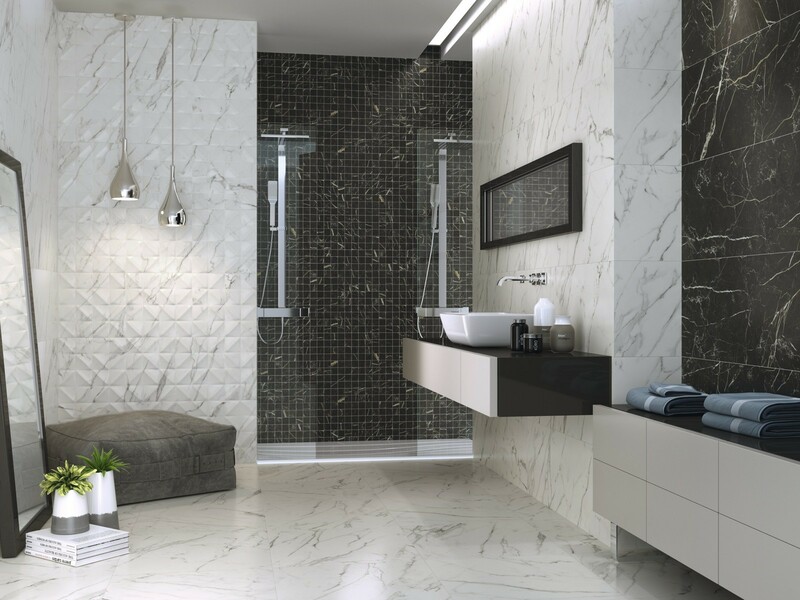 These tiles exude luxury and are incredibly stylish. Perfect to be used in living rooms, kitchens, bathrooms and even bedrooms as a feature wall. The matt finish on these tiles is a nice contrast to the typical gloss tiles that are readily available. The rectified edges on this tile make it ideal for butting up nice and close and being able to use a minimal grout joint. Keeping a smooth clean look all over. Marble effect tiles have always been popular and large format tiles in the design are just a new design on a classic decor. Each piece varies slightly for a natural effect. These tiles do not need to be sealed and are simple to clean. A black tile is available in this range, although we do not stock this currently, if you are interested in this colour please contact us for more details.